Every well is dedicated, blessed and celebrated. The picture shows a prayer of dedication to God and thanksgiving for the well by Africa Oasis Missionary Steve Evans with pastors and members of the community. 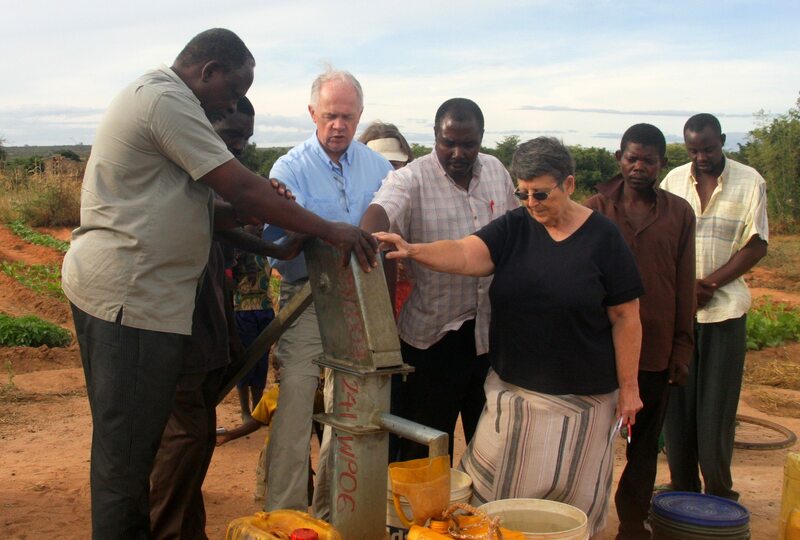 Ken Corley shown dedicating a new well in Tanzania with Africa Oasis Project missionaries Ron and Gloria Hanson. 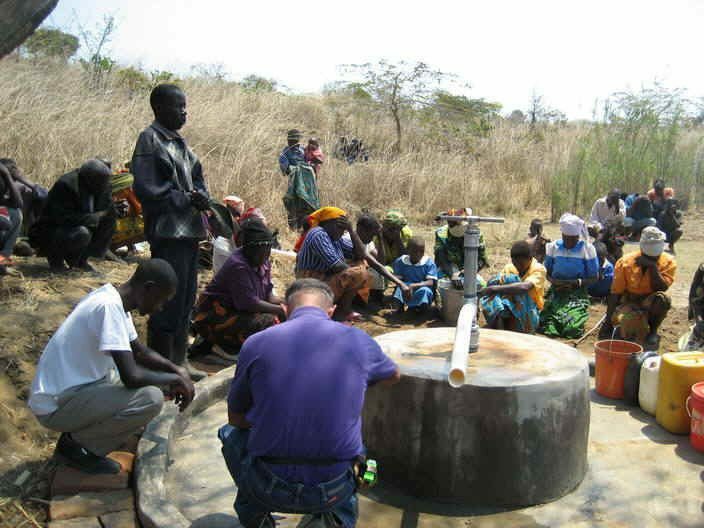 As soon as the installation of the pump is completed, there is a prayer of blessing and thanksgiving to God for the new well. The Marion Medical field officers, the American volunteers, community leaders and villagers present all participate in the dedication as part of the celebration.